Do You Want to Experience Great Health? Packer Chiropractic Voted #1 By Easton Journal Readers! Optimal Spine Equals Optimal Health! World Champion New England Patriots! Dr. Michael A. Miller, D.C., CCSP, CCRD, P.C. Specializing in Auto, Work and Sports Injuries as well as DOT Physical exams (CDL Medical Cards). Same day appointments! Dr. David Costa is a DOT certified medical examiner and we have offices located in the heart of Downtown New Bedford and Wareham to better serve you. Most Insurances accepted including Medicare and MassHealth. Each Patient Gets the Quality Time They Need. Federico V Rondinelli DC, D.C.
Karen Anania, D.C., is a chiropractor located in Providence, RI. Take the next step and contact Dr. Karen Anania, D.C., for a consultation in Providence, RI or to get more information. Louis Manzolillo, D.C., is a chiropractor located in Providence, RI. Take the next step and contact Dr. Louis Manzolillo, D.C., for a consultation in Providence, RI or to get more information. Allison Hurley, D.C., is a chiropractor located in Providence, RI. Techniques: • Activator Methods • Diversified • Flexion-Distraction Take the next step and contact Dr. Allison Hurley, D.C., for a consultation in Providence, RI or to get more information. Arianna Iannuccilli, D.C., is a chiropractor located in Providence, RI. Take the next step and contact Dr. Arianna Iannuccilli, D.C., for a consultation in Providence, RI or to get more information. Russell Broccoli, D.C., is a chiropractor located in Providence, RI. Take the next step and contact Dr. Russell Broccoli, D.C., for a consultation in Providence, RI or to get more information. Paul J O'Brien Jr, D.C.
Edward T Gallucci, D.C., is a chiropractor located in Providence, RI. Take the next step and contact Dr. Edward T Gallucci, D.C., for a consultation in Providence, RI or to get more information. Dennis J Lanni, D.C., is a chiropractor located in North Providence, RI. Techniques: • Diversified • Flexion-Distraction • Gonstead • Trigger Point Therapy • Myofascial • Active Release Therapy Take the next step and contact Dr. Dennis J Lanni, D.C., for a consultation in North Providence, RI or to get more information. Andrew Crellin, D.C., is a chiropractor located in Providence, RI. Take the next step and contact Dr. Andrew Crellin, D.C., for a consultation in Providence, RI or to get more information. Scott Lenkewicz, D.C., is a chiropractor located in Providence, RI. Take the next step and contact Dr. Scott Lenkewicz, D.C., for a consultation in Providence, RI or to get more information. David J Lenkewicz, D.C., is a chiropractor located in Providence, RI. Take the next step and contact Dr. David J Lenkewicz, D.C., for a consultation in Providence, RI or to get more information. Gregory Decrescenzo, D.C., is a chiropractor located in Providence, RI. Take the next step and contact Dr. Gregory Decrescenzo, D.C., for a consultation in Providence, RI or to get more information. Joyce M Martin, D.C., is a chiropractor located in Providence, RI. Take the next step and contact Dr. Joyce M Martin, D.C., for a consultation in Providence, RI or to get more information. Michael J Zola, D.C., is a chiropractor located in Providence, RI. Take the next step and contact Dr. Michael J Zola, D.C., for a consultation in Providence, RI or to get more information. John C Conley, D.C., is a chiropractor located in Providence, RI. Techniques: • Gonstead • Diversified • Palmer Package • Logan Basic Take the next step and contact Dr. John C Conley, D.C., for a consultation in Providence, RI or to get more information. William E Lancellotti Jr, D.C.
William E Lancellotti Jr, D.C., is a chiropractor located in Providence, RI. Techniques: • Activator Methods • Applied Kinesiology Take the next step and contact Dr. William E Lancellotti Jr, D.C., for a consultation in Providence, RI or to get more information. 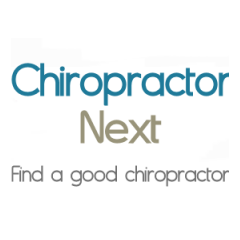 Amy Westrick, D.C., is a chiropractor located in Providence, RI. Techniques: • Activator Methods • Diversified • Motion Analysis (Palpation) • Nimmo • Trigger Point Therapy Take the next step and contact Dr. Amy Westrick, D.C., for a consultation in Providence, RI or to get more information. Eugene Kramer, D.C., is a chiropractor located in Providence, RI. Take the next step and contact Dr. Eugene Kramer, D.C., for a consultation in Providence, RI or to get more information. Joachim Badway, D.C., is a chiropractor located in Providence, RI. Take the next step and contact Dr. Joachim Badway, D.C., for a consultation in Providence, RI or to get more information. Rhode Island Chiropractic Pain Control Clinic, Inc.
Paul Miele, D.C., is a chiropractor located in Providence, RI. Techniques: • Manual Adjusting • Flexion-Distraction • Traction • Nimmo Take the next step and contact Dr. Paul Miele, D.C., for a consultation in Providence, RI or to get more information. Michelle Lancellotti, D.C., is a chiropractor located in Providence, RI. Take the next step and contact Dr. Michelle Lancellotti, D.C., for a consultation in Providence, RI or to get more information. Joyce Martin, D.C., is a chiropractor located in East Providence, RI. Take the next step and contact Dr. Joyce Martin, D.C., for a consultation in East Providence, RI or to get more information. Kevin G Miller DC, D.C.
Kevin G Miller DC, D.C., is a chiropractor located in East Providence, RI. Take the next step and contact Dr. Kevin G Miller DC, D.C., for a consultation in East Providence, RI or to get more information. Shadi Shakoori, D.C., is a chiropractor located in East Providence, RI. Take the next step and contact Dr. Shadi Shakoori, D.C., for a consultation in East Providence, RI or to get more information. David J Di Santo, D.C.
David J Di Santo, D.C., is a chiropractor located in East Providence, RI. Take the next step and contact Dr. David J Di Santo, D.C., for a consultation in East Providence, RI or to get more information. Gregory Decrescenzo, D.C., is a chiropractor located in East Providence, RI. Take the next step and contact Dr. Gregory Decrescenzo, D.C., for a consultation in East Providence, RI or to get more information. Andrew J Lombardi, D.C., is a chiropractor located in Cranston, RI. Techniques: • Cox • Flexion-Distraction • Gonstead • Motion Analysis (Palpation) • Thompson • Trigger Point Therapy • Full Spine Take the next step and contact Dr. Andrew J Lombardi, D.C., for a consultation in Cranston, RI or to get more information. Jeffrey Z Newman, D.C., is a chiropractor located in Providence, RI. Take the next step and contact Dr. Jeffrey Z Newman, D.C., for a consultation in Providence, RI or to get more information. Andrew Schmitz, D.C., is a chiropractor located in Cranston, RI. Techniques: • Activator Methods • Diversified • Pediatrics Take the next step and contact Dr. Andrew Schmitz, D.C., for a consultation in Cranston, RI or to get more information.